1. 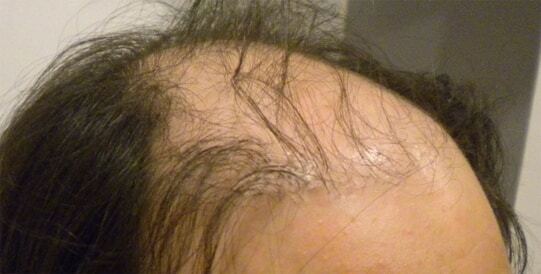 Poor Result and Poor Hair Growth – usually due to bad surgical technique, unqualified doctors, poor assistant training, bad operation theatre set up. 2. Donor Site Scarring – bad surgical technique, tendency of patient to form keloids. 3. Infection – usually seen in diabetics. 5. Donor Site healing problems or skin damamge – usually seen in smokers, or over aggressive surgeons. 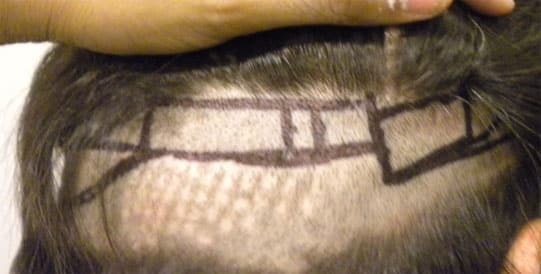 A very bad scar of previous FUT procedure ( at some other clinic of repute in south delhi). We can prevent this by TRICHOPHYTIC CLOSURE. These scars should never be visible. 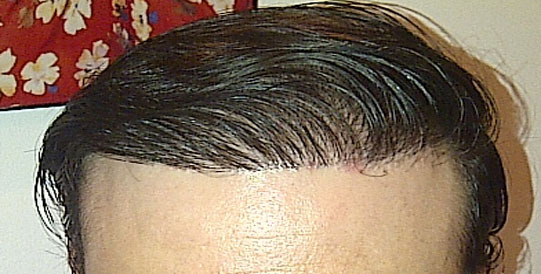 A bad hairline, with mountains in areas of graft implants. We can prevent this by making sure that the skin on each graft is trimmed, and the hair line is made irregular and more dense. 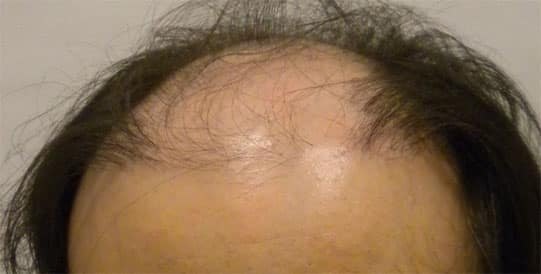 This transplant was done with FUE at one of the most reputed institutes in Mumbai. A very bad result done with Punch Grafting. The donor area is totally destroyed, and no scope of restoration is possible. A very bad transplant with punch grafting and total destruction of donor area, rescued with MMFT. to give a reasonable result. We managed to implant 2200 grafts.